Join the St Croix River Association and National Park Service for a day of PRIDE and paddling along the lower St Croix River! 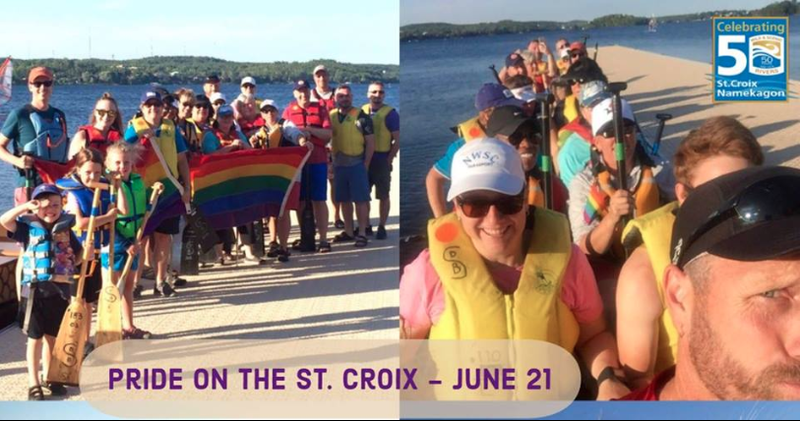 Come for a variety of activities aimed at celebrating LGBTQIA members of the St Croix Valley—and beyond! Paddle a 6.5 mile stretch of the St. Croix between Minnesota Interstate State Park and Osceola Landing. Staff and volunteers will host stations where visitors can spot birds in all colors of the RAINBOW; learn about nature photography and go on short walks with master naturalists; or share your story as a LGBTQIA visitor to the first Wild and Scenic River National Park in the nation. Rangers will be on-hand to swear in Junior Rangers, and lead activities. Picnic as one big chosen family, and learn more about other outdoor opportunities from various outdoor specialists at the end of the day before taking the shuttle back to your vehicle.